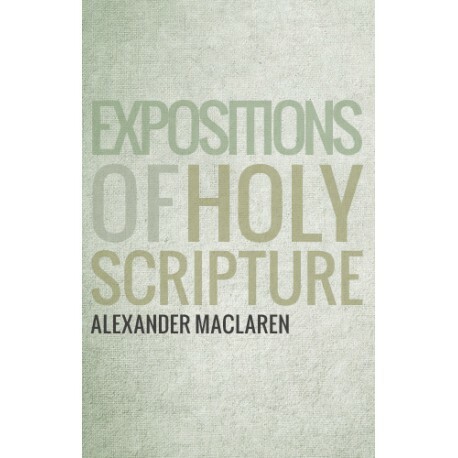 Expositions of Holy Scripture by Alexander MacLaren is collection of over 1,500 expository sermons, covering 48 Old and New Testament Bible books, arranged as a commentary. Alexancer MacLaren was called "the prince of expository preachers," a title he earned through his famous sermons during his lifetime as a minister and author. 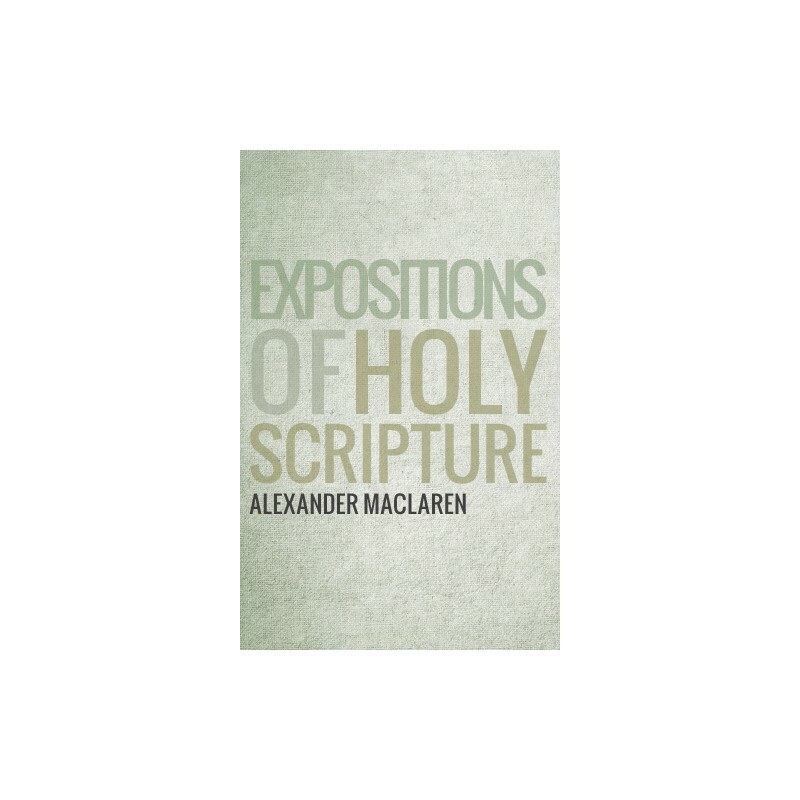 Expositions of Holy Scripture by Alexander MacLaren is collection of over 1,500 expository sermons, covering 48 books of the Bible, arranged as a commentary. Alexander MacLaren was called "the prince of expository preachers," a title he earned through his famous sermons during his lifetime as a minister and author. Thoroughly grounded in Greek and Hebrew, MacLaren studied the Bible in the original languages which was the foundation for his distinctive work as an expositor and for the biblical content of his preaching. Maclaren's religious life was bonded with Christ in God. His walk of faith informed everything he stood for and imparted through his preaching. In his farewell sermon at Union he said: "To efface oneself is one of a preacher's first duties." Truly expository in approach and execution, MacLaren's commentary pulls back a curtain of deeper understanding on every passage considered. In the case of Matthew's account of the Nativity, MacLaren makes a detailed analysis of Joseph's dilemma upon finding Mary pregnant before they married, and his obedient decision to accept his role and follow God's plan in the birth of his Son. With this kind of rich detail, garnered from a biblical scholar with a passion to make the Word of God accessible, understandable and applicable to his parishioners, we're sure that you will be engrossed and find new insights to share with your congregation, class or Bible study.